The summer of cricket in England is about to move to an interesting phase as England and India lock horns in a 5-match Test series. India’s status as ICC’s number one ranked Test side is assured regardless of the outcome of this series but England, currently ranked 5th, will have a great chance to improve their ranking if they can get a positive result from this series. As always, the consensus of opinion points to an England victory due to home advantage but India’s supreme form with the bat and ball which has seen them succeed in many other trying conditions will also allow them to challenge the hosts. With top quality batsmen lead by the likes of captain Virat Kohli, an Indian victory could well happen but as the former Indian batsman, Wasim Jaffer explained in an exclusive interview with PakPassion.net, there will be a need for an all-round effort if India are to gain the upper-hand in the upcoming Test series. Whilst the class that a squad that boasts the likes of Virat Kohli, Shikhar Dhawan, Lokesh Rahul, Ajinkya Rahane, Ravichandran Ashwin, Ravindra Jadeja, Ishant Sharma and Mohammed Shami can be a handful for any opposition in the Test format, India’s unenviable away Test record against England which reads as just 6 wins and 30 losses, does not look pretty. 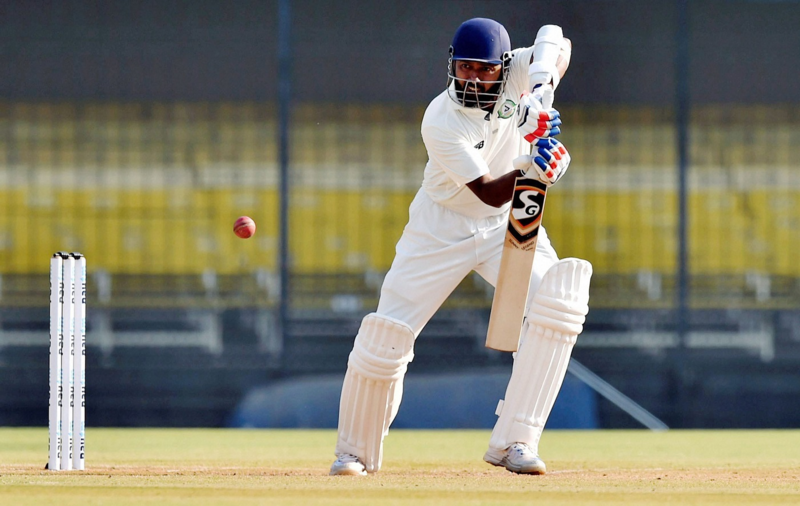 For Wasim Jaffer, who himself scored 5 Test hundreds in 31 Tests that he played for India, the talented and supremely skilled visitors should use their side’s past failures in England to propel themselves to newer heights. Virat Kohli’s reputation as one the toughest performers on the international scene appears to sometimes give the impression that India are over-reliant on his abilities. To Wasim Jaffer, apart from Kohli, the rest of the Indian line-up will need to up their game to help in posting big scores which could ultimately lead to a series victory for India. Whilst the formats may be different, the fact remains that on an important away tour like the current one, India would have been in a much better place if they had won the ODI series but that wasn’t the case. A 2-1 victory in the ODI series for England seems to have given momentum to the home side which they could easily translate into a Test series win and this is something that was of concern to Wasim Jaffer. Adil Rashid’s call-up for national Test duties against India has been the subject of controversy since the spin-bowler had announced he had given up red-ball cricket for his county Yorkshire and to many, this represented an undermining of the County system as it showed that a player could be selected for Tests without playing domestic cricket. Such arguments hold little water for Jaffer who fully supports the inclusion of Rashid. The touring India side have a huge task at their hands as they look to take on a very confident England team on their home-turf. To many, the world’s top Test side is equipped with the right combination to defeat England in this series and with a determined captain like Virat Kohli at the helm of affairs, chances of victory appear even higher. Wasim Jaffer who represented India in Tests in 2002 and 2007 on tours of England, agreed with this assessment and felt that England, despite having home-advantage, will find it difficult to arrest the momentum if India make a good start in the Test series, “This is the time for India to win a Test series in England. When they last toured England in 2014, I thought they had the squad to defeat England and they were 1-0 up in the series but then lost momentum and England fought back well. But this time around I feel age is catching up with Stuart Broad and James Anderson and if India don't give wickets to those two then I think England will find it hard to get 20 Indian wickets. It's a long series of 5 matches and it's crucial that you get off to a good start, but I feel this will be India's time to win in England,” he concluded. Totally agree with Wasim on his thoughts on over-reliance on one or 2 players. England will test that weakness of the Indian batting line-up and Indian batsmen better stand up and be counted if they are to walk away from this series with anything positive. Bit surprised at the bowling lineup that England have gone with for the first Test. If India had Bumrah and Kumar, I think they would be favourites but it's pretty even now. I think Anderson and Broad have the potential to eat India's top order alive. Only batsmen who can score here are Kohli, Vijay. Rahul will be under lot of pressure to perform. Dhawan is a walking wicket in Test cricket. Omitting Pujara was a good and very brave decision. Sends the right kind of message. Bowling is still a concern for India. Bhuvi and Bumrah's absence should have given Kuldeep a chance, but instead we have Umesh and Ishant who are not too bad, but still easier for English batsmen to face. Well he was right when he said India cannot just depend on Kohli alone! India in with a chance to win the 1st Test. But the issue of the lack of batting support for Kohli remains. I don't think India will get a better chance to beat England in this series than they did at Edgbaston. England were there for the taking and India should have won the match. However a few Indian players proved that they are mentally weak and one would say over-rated. Exactly.England wasn't great in this test(which is not surprising) but still India lost this test. India lost more so than England won. Chasing under 200 in the 4th innings for a largely experienced batting line-up should not have been an issue. Yes the ball was swinging, but it wasn't extravagent and the pitch wasn't a rank turner either. India should have won. This was their best chance. Not to be am afraid. And, this is will be my time to become Indian Prime Minister. They've let themselves down at key moments during the series. The chances have been there but they've allowed England to win key sessions and not forced the advantage home when England have been in trouble. Too often they've let England's lower order get the home team back into the match when looking down and out. 3-1 and the series is gone with a test to play. Didn’t even come close. A good win at Nottingham but left themselves too much to do and we’re soundly beaten - albeit in a close game - in this test. This was probably IND's best chance to win a Test series in UK for some years. Unless there is a major decline in English cricket, next time IND will be touring with Kohli, Pujara & Rahne in mid 30s while Shami, Ashwin, BK & Ishant might not be playing Test (won't be close to what they are now in any case). On top of that, my relatives in UK were telling that this has been one of the driest & warmest summer in their memory - climate changing, therefore this might not be unique going forward, but highly unlikely that IND'll get such 3 wickets in UK. Only Test that we had a typical "English condition", Poms won by innings and 159, losing 7 wickets & inside 2 days. At least, Series should have been level by now going to Oval Test, but now it should end 4-1. Also , England batting is really poor. Cook and Root did not hit even a single hundred. India were never going to win this series. Even though the bowling has done well, the batting was always suspect. The bowling attack once again struggled to get rid of the lower order costing us the first and the 4th Test. Add to that Stokes issue and ENG selecting Adil for all 4 Tests!!!! Only excuse I can find is that Root won all 4 tosses, but still he made a blunder at Nottingham putting IND in, otherwise it could have been 4-0 by now. But, I think ENG will decline in Test, unless this Coach guy is replaced. ENG's Test batting is in shambles and in ODI also, unless it's a 350+ condition, they'll struggle against wicket taking bowling attack. Jimmy & Barbi won't be there, and focusing too much on kung fu style cricket, I don't think ENG will be able to replace this bowling pair. The gap is so wide with these 2 against next bowlers that ENG's home dominance is likely to end soon, probably they'll lose next Ashes at home. On contrary, going forward, I think IND will produce adequate replacements - may not be someone for Kohli, but this pace attack can be replaced. Come 2022-23, it might happen, but still a big opportunity missed. Jaffer must be eating his words like all India fans who said the same thing. England's bowling attack with Broad and Anderson is much better then India's. I don't see all this fuss over the Indian attack at all. As for the batting without Kohli it's no better then that of any other Test side. Before the series I predicted an easy win for England in their own conditions. Remember saying that in England the Indian batting side will not be able to score 600 in one innings then bowl the opposition out with 10 spinners and 20 short leg's!! This England batting side is amongst the poorest I have seen in Test Cricket yet with the supposedly best Indian pace attack ever they still couldn't defeat them . Definitely was their great chance, really could have won the 1st and 4th Tests. If it was Pakistan who lost matches like that, I, as a fan, would be heartbroken. All times are GMT 5.5. The time now is 21:09.